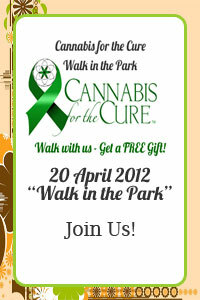 Want to join us in the fight to cure cancer with cannabis? 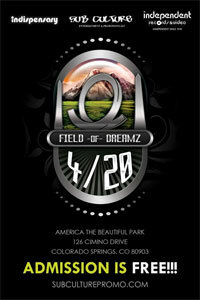 Volunteer today for our upcoming 1.3 mile walk to support cannabis research and awareness on 4.20.2012! Are you inspired to help find a cure for Cancer, MS, and AIDS? Do you believe in marijuana as a medicine? Are you ready to take a stand for healing? Make a donation today! If the answer is yes, then YOU are just who we are looking for! Cannabis for the cure is ready to bring awareness to the world that cannabis is a valuable medicine. We seek to bring light to the research that has been suppressed for far too long. Join us in our stand for cannabis as a medicine today. We are currently seeking men and woman from all over the country that want to start the Cannabis For The Cure movement in their town or city.